I’ve written about 9/11 before – about how it cursed the Republican party, but also, in the short term, those of us who opposed it (and George W. Bush, for that matter), and how it changed – for the worse – American attitudes towards the constitution, the Geneva conventions, and well, common sense. But it also revealed greatness: the bravery of the police and firefighters who perished; the passengers who kept a fourth plane from its target; the solidarity that we too seldom feel as Americans. I understand that the day is raw and meaningful, especially in New York and Washington, D.C. New York cops and firefighters were devastated by the deaths, from their ranks, of members who went into the fire to try and save people in the towers. Cantor Fitzgerald lost over 600 employees – fully 25% of the deaths at the World Trade Center. There are two square holes in the ground where the towers once stood – a scar on the ground of Manhattan and a void in its skyline. 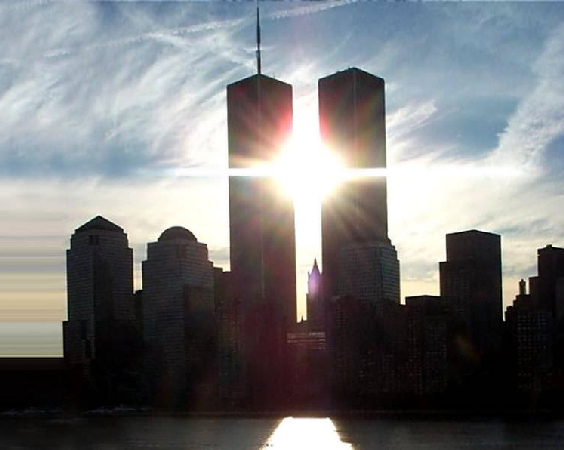 To those who say “never forget”, I can assure you: the events of September 11, 2001 have left a permanent physical scar. I just want to let go of the emotional ones. The scars that blinded too many to the folly of Iraq, that paved the way for the Orwellian “Patriot Act” to become law and keeps it from its deserved evisceration, that made us afraid to try criminals in the criminal courts of this country. The scars that allowed empty suits like Bill O’Reilly and Sean Hannity to question the patriotism of those who questioned the decisions of George Bush. And the scars that led to too many leading Democrats acquiescing on matters of war, civil liberties, and national security. And what should this day be for the rest of us? I don’t know. But I know what it shouldn’t be: an empty justification for abandoning our values, our common sense, or our constitution. As I said five years ago, if you want to honor the victims of 9/11, honor the country they lived in when they died. Well written— This was very meaningful and I think you should send it in to a newspaper to attain the larger circulation it deserves.